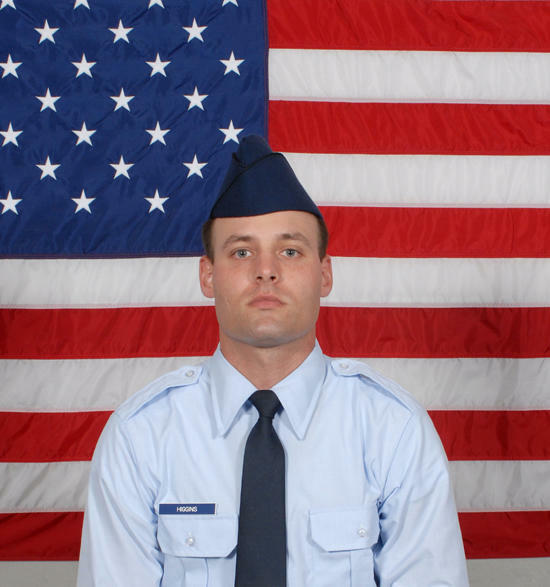 Air National Guard Airman 1st Class Jonathan T. Higgins graduated from basic military training at Lackland Air Force Base, San Antonio, Texas. He is the son of Lisa and Mark Higgins of Big Rock Lane, Bradyville, Tenn.
Higgins is a 2004 graduate of Cannon County High School, Woodbury, Tenn.
Good job, Jonathan! You make us very proud! thank god for those who keep us free and safe .i am an airforce mom and nothing could make a mom more proud. god bless you. Congrats on the new baby too Higgins, he is a cutie pie!